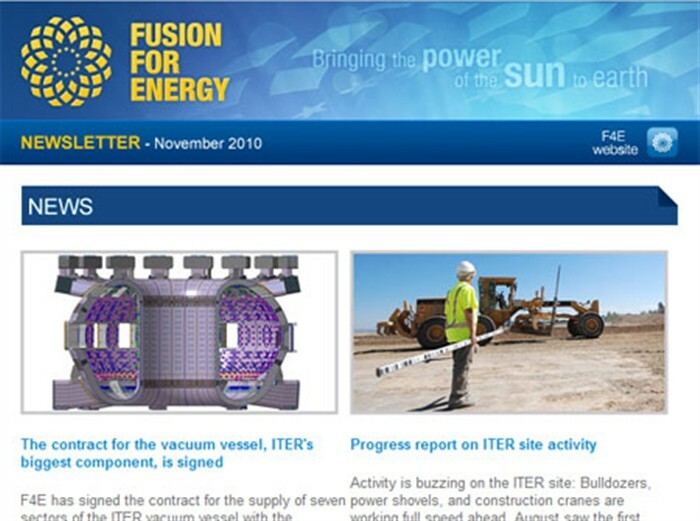 The latest issue of F4E News, our electronic quarterly newsletter, is now published. This fourth issue includes news on the F4E contracts for the seven sectors of the vacuum vessel and the winding packs, as well as highlights from the SOFT conference and an update on the ITER site activity. Should you wish to receive coming issues of F4E News directly in your mailbox, you can subscribe by clicking here.